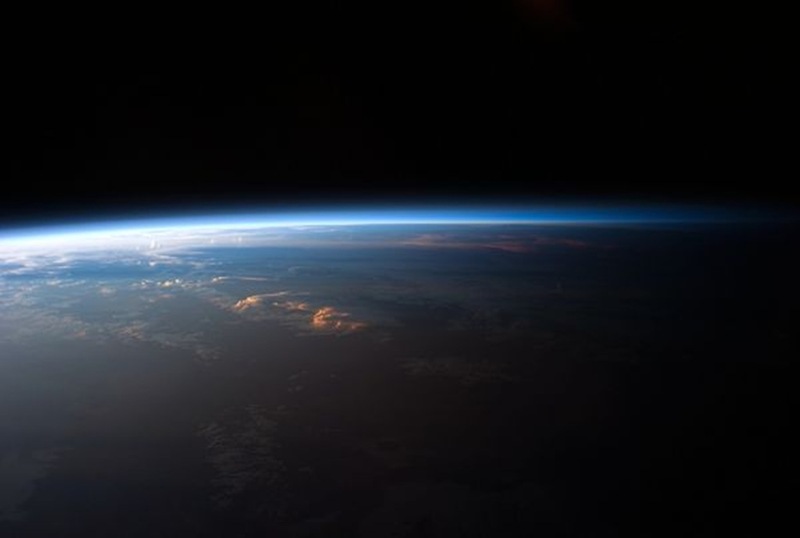 As the sun sets over South America, the layers of Earth’s atmosphere along the horizon—or limb—go from bright white to deep blue, as seen on April 12 by an astronaut aboard the International Space Station. The change from day to night is marked by an ever-shifting boundary called the terminator, seen in the above image crossing central South America. The Salar de Coipasa, a large salt lake in Bolivia, is dimly visible on the night side of the terminator.